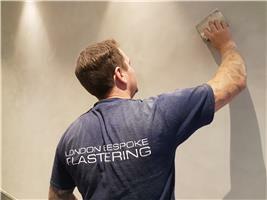 London Bespoke Plastering is a friendly, reliable plastering company, offering a full plastering service for all your property’s needs. We work closely with our clients from the initial enquiry, right up to the completion of the job, ensuring that the best possible results are achieved every time. With over 15 years’ experience in commercial building all over the UK, most recently concentrating on residential projects with over 5 years’ experience, we are the plastering company that cares and are raising the standard of property development in London. We tailor our service to each customer as we appreciate that their needs and requirements are as individual as their property.